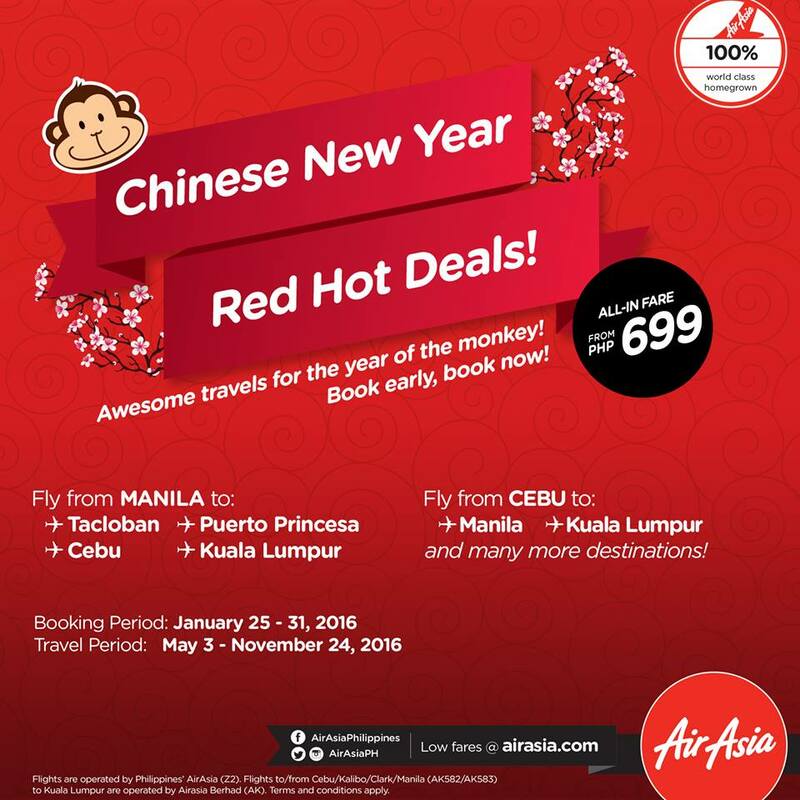 Piso Fare 2019 Promos Until 2020: P699 promo fare from Air Asia! Piso Fare 2016 Promo: Here's the latest promo from Air Asia Philippines with this upcoming Chinese New Year! Welcome the RED HOT DEALS! Ravish on this very affordable one-way fare of Php 699 only! If you are coming from Cebu or Manila, there are selected flights that you can book on promo! Of course, you may want to visit Malaysia's capital, Kuala Lumpur too! What are you waiting? Book now your tickets here: http://bit.ly/CNYREDHotDeals! Is this true.. the site is dummy!! Where can I find the promotion code? pls,update me if there is a promo? ?